Preliminary Fact: The previous night, the Germans had implemented "Operation Himmler." This involved the staging of "provocations" along the German/Polish border, most famously at the radio station at Gleiwitz. Hitler has used this operation to build a propaganda "justification" for an invasion of Poland. Germany, Air Operations: Case White, the invasion of Poland, begins. At 4:40 a.m., the Luftwaffe attacks the Polish town of Wieluń, causing extensive damage and killing an estimated 1200 civilians and soldiers. Later, air attacks commence against Kraków, Łódź, and Warsaw. Operation Wasserkante, the air attack on Warsaw, is composed of four bomber groups but is hampered by poor weather. In addition, PZL P.11 fighters of the Pursuit Brigade shot down 16 German aircraft for the loss of 10 of their own. While a major Polish success, the Germans can sustain their losses, the Poles cannot. Germany, Naval Operations: SMS Schleswig-Holstein, a pre-dreadnought laid down in 1905 which had participated in the Battle of Jutland, opens fire at about 4:45 a.m. The target is a Polish ammunition depot at Westerplatte by the Port of Danzig. 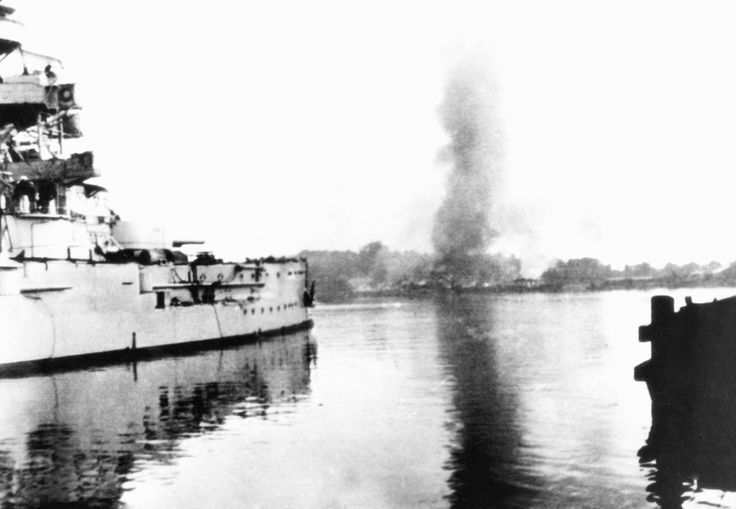 Many consider this the first "official" shot of the war, though an entire war machine was on the move at the time and indications are that other forces were in play before this action. Choosing this as the start was more due to the convenience of cameras being present that recorded the action than reality. The salvo initiates a ground attack on the depot that is initially unsuccessful. In London, September 1st, 1939. 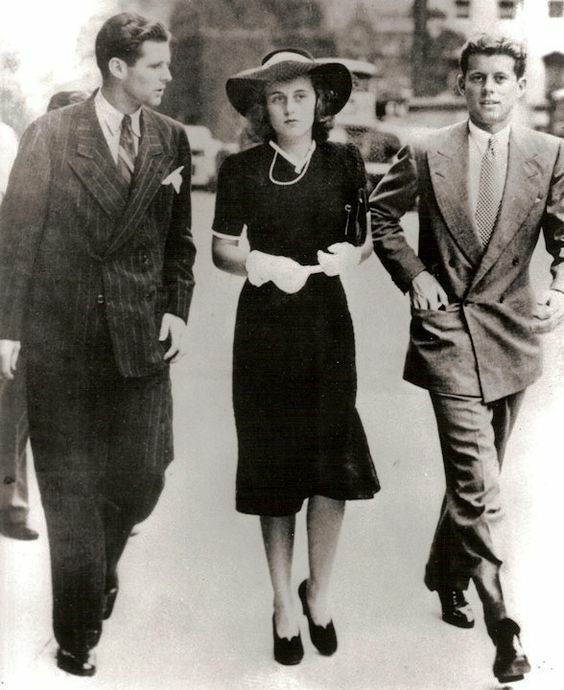 Three Kennedys - Joe Junior, Kathleen and Jack - hurry to attend a special sitting of the British House of Commons. Their father, Joe, is the Ambassador to the Court of St. James. Germany, Army Operations: Shortly before 5 a.m., German forces move across the frontier. The main attack, though, does not begin until 8 a.m., when the Wehrmacht attacks Mokra. Three pincers aim at Warsaw from East Prussia in the north, Slovakia (a German ally) in the south, and straight east from Germany proper. 14th Army (Wilhelm von List). Poland, Army Operations: Polish forces successfully defend against an opening attack on the strategic Dirschau Bridge designed to capture it intact. Elsewhere, though, resistance is light. Germany, Diplomacy: Chancellor Adolf Hitler announces the invasion to the Reichstag at the Kroll Opera House (the Reichstag building having been burned in the 27 February 1933 Reichstag Fire). Hitler states that the hostilities are a defensive action. He further states, "If anything should befall me in this struggle, then my successor shall be party-member Goering." He does not ask for a declaration of war, but nobody is left in any doubt that war has commenced. Hitler holds out hope, encouraged by German Foreign Minister Ribbentrop, that Britain and France will not intervene. Unofficial/amateur Swedish diplomat Birger Dahlerus, at the behest of Hermann Goering, phones the permanent undersecretary of the British Foreign Office in London, Sir Alexander Cadogan early in the morning. He wants to broker some kind of understanding. Cadogan tells him that no talks are possible unless and until Germany withdraws from Poland. Around noon, Dahlerus goes to the British embassy in Berlin with the same proposal, and is told the same thing. Germany, Home Front: In sharp contrast to August 1914, when there were wild celebrations upon the outbreak of World War I in Germany and Austria-Hungary, there are few if any public demonstrations in Germany. Crews are busy securing various art treasures and buildings against air attack. England, Diplomacy: Sometime that morning, Foreign Secretary Lord Halifax summons German chargé d'affaires Theo Kordt to Whitehall. Halifax states that he is aware of the invasion of Poland and that it is a "very serious situation." He then dismisses Kordt. That evening, the British and French Ambassadors meet with Ribbentrop in Berlin. They read out notes informing the German government that it must remove its troops from Poland or their countries will honor their treaty obligations to come to Poland's defense. Ribbentrop replies that he will inform Hitler of this information, but that Poland had attacked Germany. 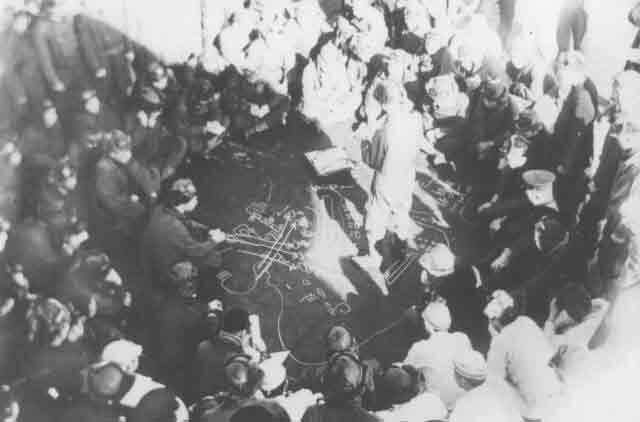 England, Military Operations: The British government orders a general mobilization and implements evacuation plans. International Relations: Estonia, Finland, Latvia, Lithuania, Norway, and Switzerland swiftly declare their neutrality. Day's Conclusion: German troops are inside Poland, several Polish cities have been bombed. Diplomats in numerous countries are assessing the situation without yet making declarations of war. The weekend ahead should decide the world's fate for years to come. 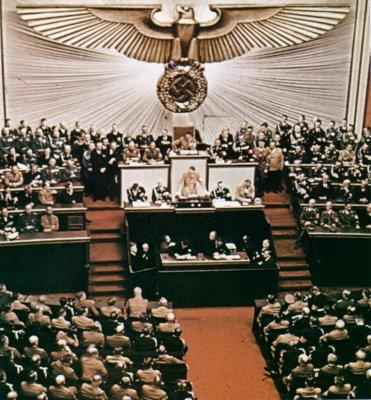 Adolf Hitler addresses the Reichstag on 1 September 1939. Future History: Lily Tomlin is born on 1 September 1939. She gains fame in the 1960s and thereafter as a television/film/stage comedienne.